While circling the loop of Waynesville I saw this huge sign that said "Antiques Here - Stop Now" so I did. Upon entering the Talbot House I knew this was not just an antique shop, the Talbot House would be a place I would never forget. I was right! In the front foyer of the Talbot House, we met this cheerful older gentleman - he was happy we stopped by and was eager to show us around his interesting antique store. As we turned the corner of the first room he introduced us to his barrel piano - now I could care a less about pianos ( my mother owns more pianos than she has children ) but this piano had character; and the character is actually the man who to plays it. The little people - my children - could have stood there all day watching him play this piano, and honestly I was pretty impressed by this magical piece. something many kids have not had the opportunity to touch. Fortunately since we were not betting real money we had the opportunity to take a spin on that slot machine - which I must add is an antique slot machine, not those computer generated coin slots. 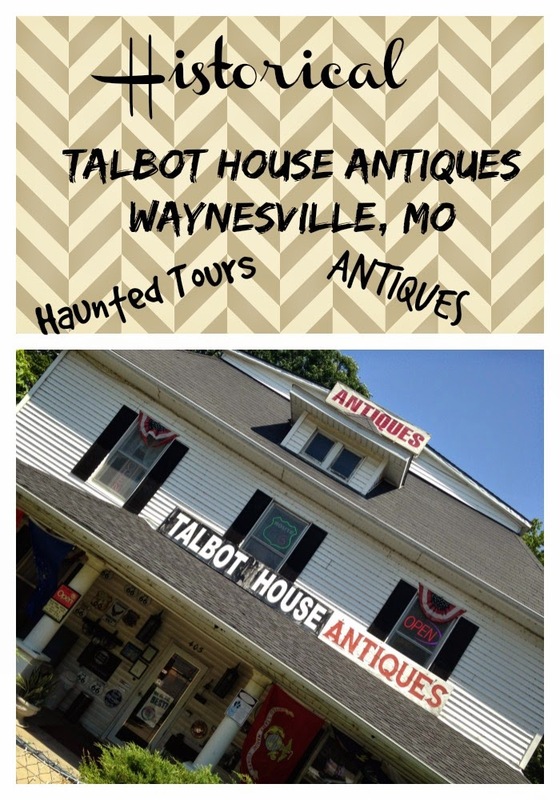 To add to the coolness factor of this old house - the Talbot House is believed to haunted - in fact during the month of October you can spend the night in the Talbot House (if you are over the age of 18) and learn more of the history of this what I thought was a neat old antique store.